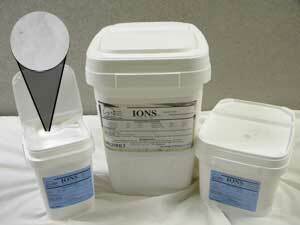 IONS™ Electrolytes April 2012 Special - 15% off All Sizes! Due to the unusually warm winter and spring months, our Service Desk has seen an increased number of horses in need of IONS™ Electrolytes. It seems we may have an extremely warm summer as well. Out of concerns for our customers and the equine community, we are going to feature our IONS™ Electrolytes at 15% off during the entire month of April! which may be caused by poor quality water or feeds. Include IONS™ in your horse's diet during heavy training and warm weather. IONS™ is needed when manifestations of tying-up, muscle cramping, anhidrosis, Synchronous Diaphragmatic Flutter (thumps) or diarrhea present themselves.